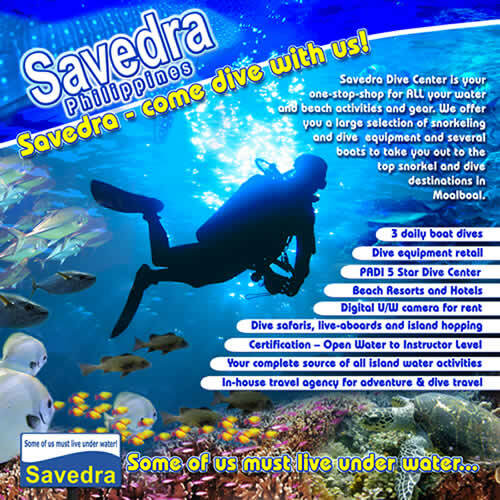 Savedra Dive Center is your one-stop-shop for all your water and beach activities in Moalboal. The dive center offers a large selection of snorkeling and dive equipment and several boats to take you out to the top snorkel and dive destinations in Moalboal. As an alternative dive center for our scuba divers we recommend Cebu Fun Divers.